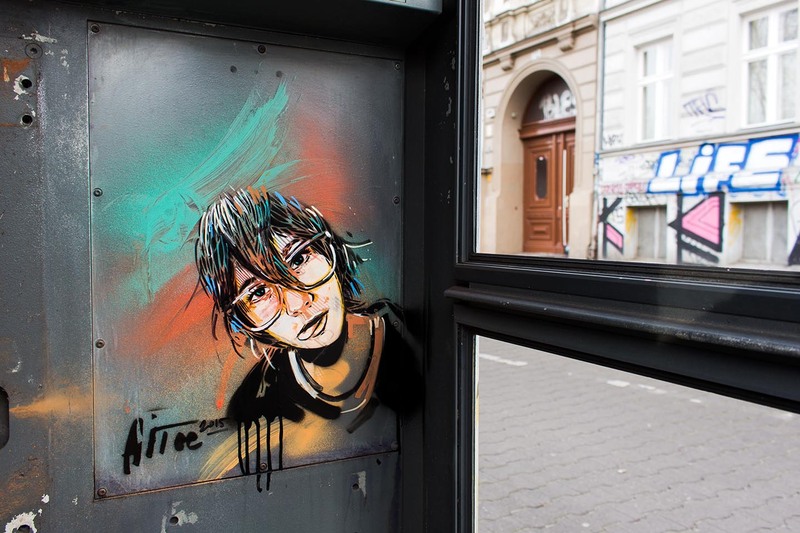 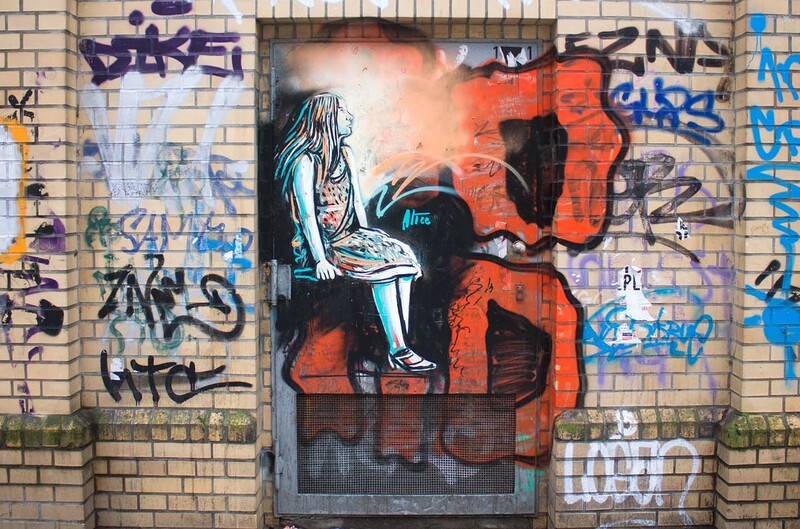 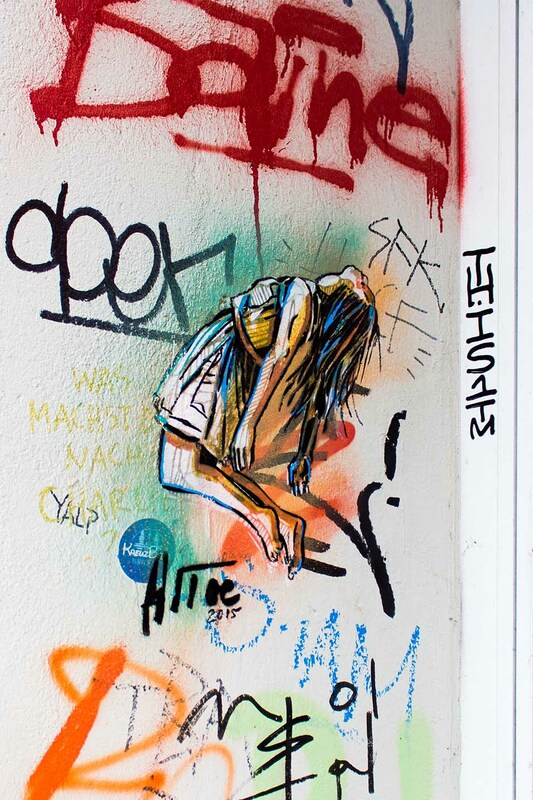 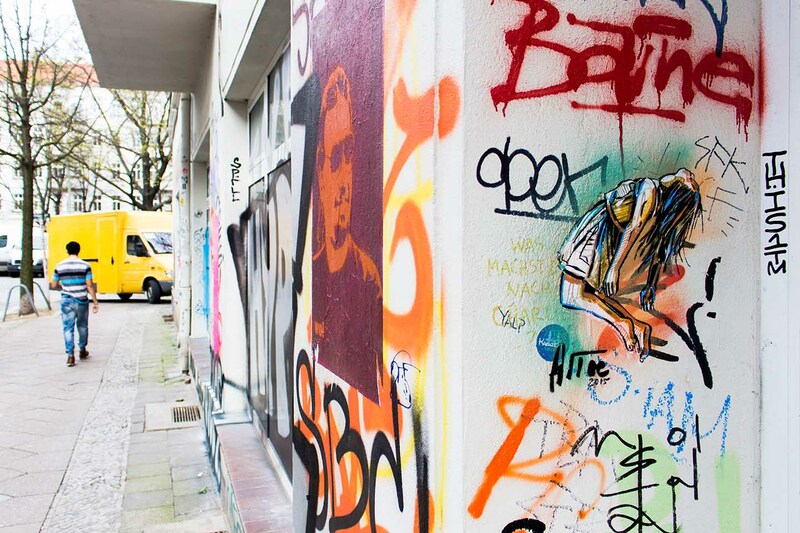 Beside the repairing and extending of her mural located in the heart of Berlin (our post here about Alice’s Mural), AliCé aka Alice Pasquini also left her footprints in form the little Streetart treasures inform of her graphic novels that we are used to see when she was in town. 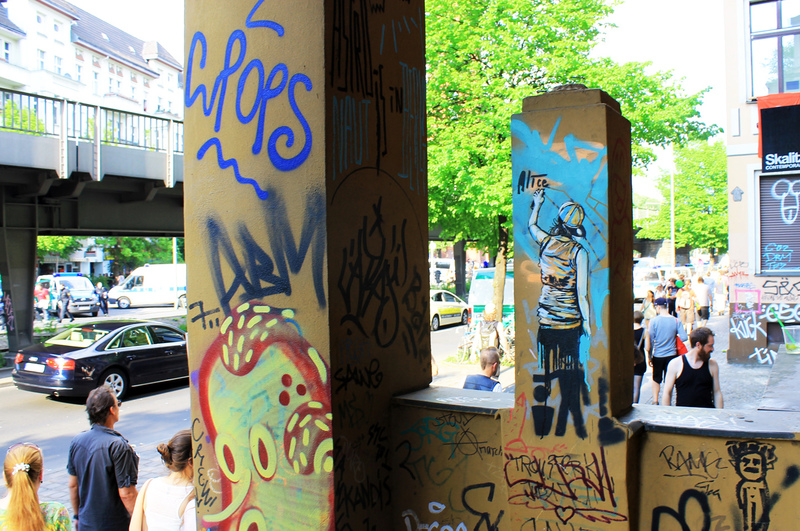 We are really happy that she came back and made Berlins Streetart scene a little richer and the streets of Berlins more beautiful again. 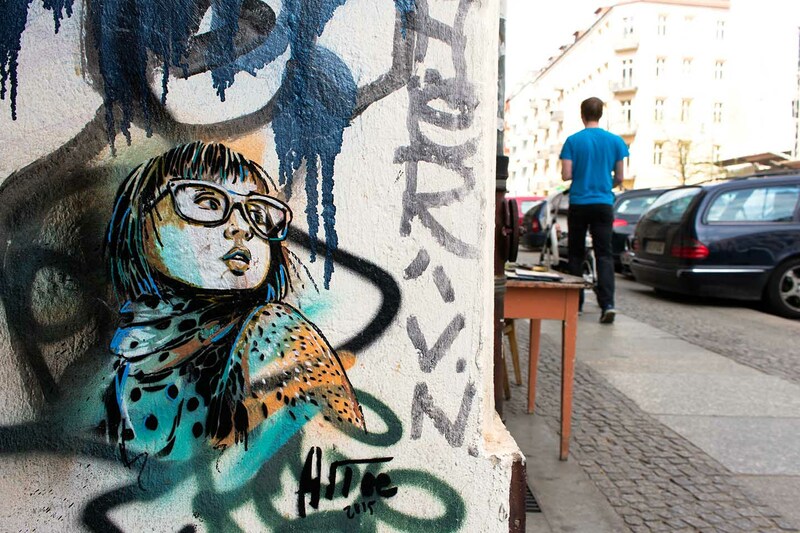 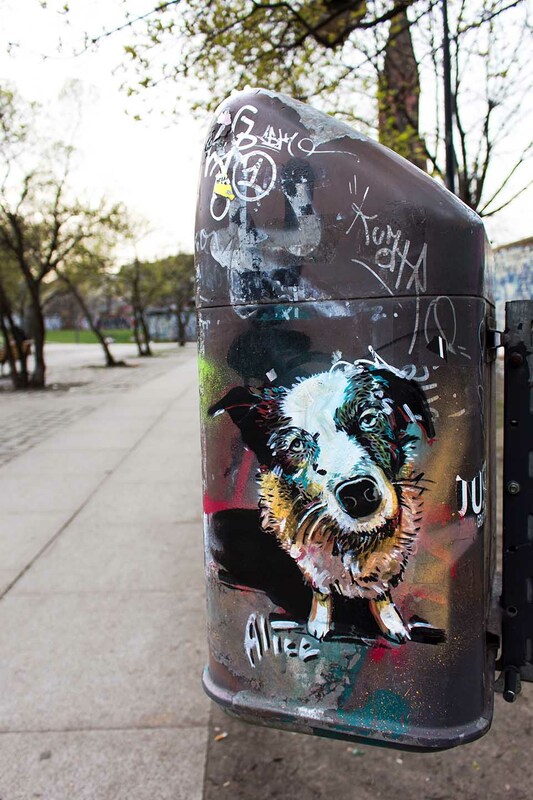 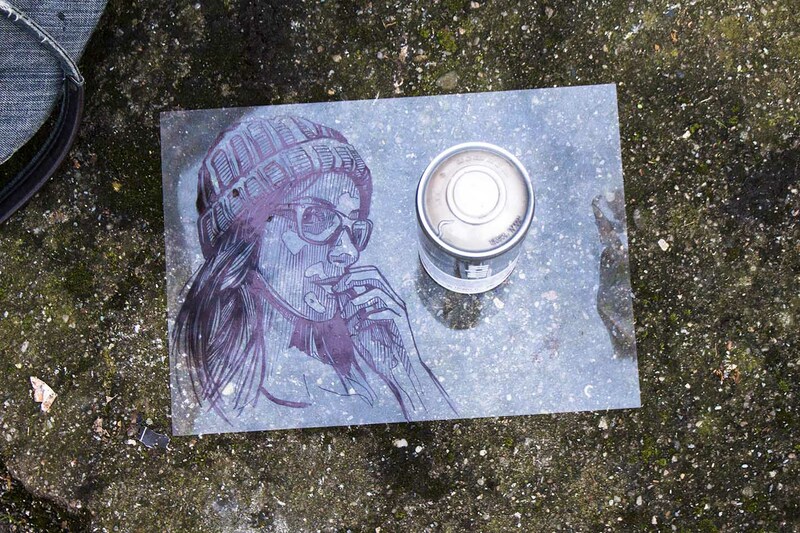 Alice seemed to work more and more freehand style than stencil compared to her last stays to Berlin, the evolution of her as an Streetartist became clear visible, again. 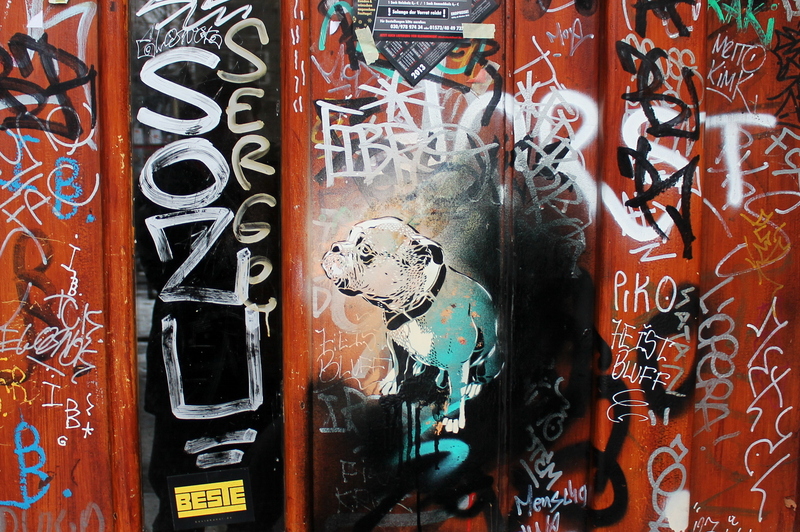 But she stayed true to her older works when it is about the motives she painted: young girls and of course the dog. 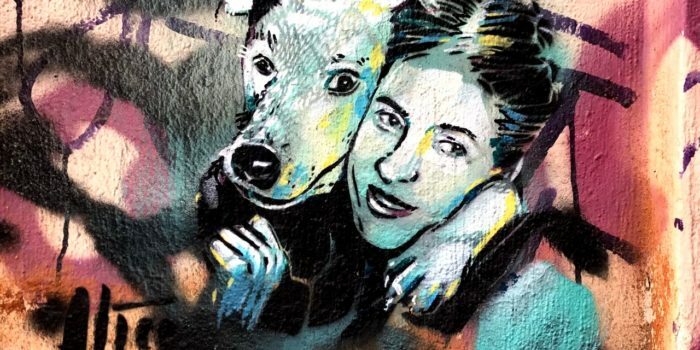 Also the things that she painted stay similar to things that could need a little love: like house entrances that already looked pretty dirty and bombed with graffiti, trash bins or things that will be disappeared soon like telephone boxes. 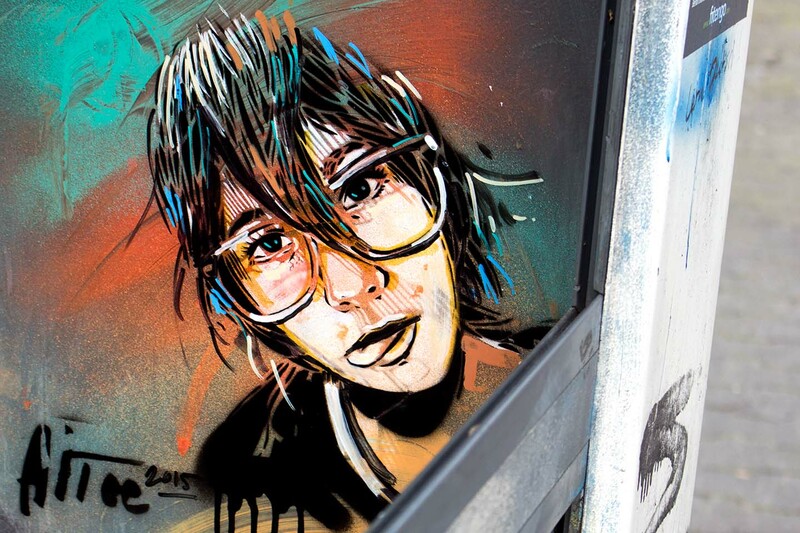 Another thing that has to be mentioned when we met Alice Pasquini this time is, that she was in cool company. 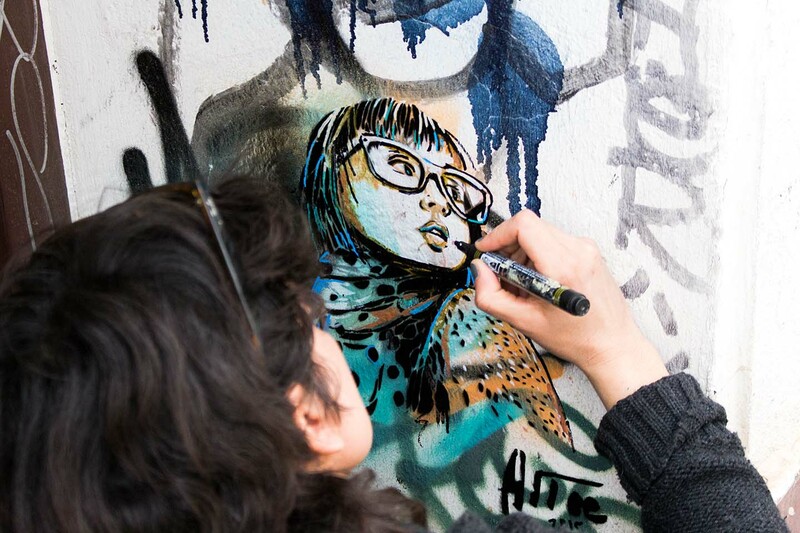 Alice was with 2 friends: The Streetart lover and photographer: David Roose and the Streetartist UNO from Rome (more of him next time ;-)). 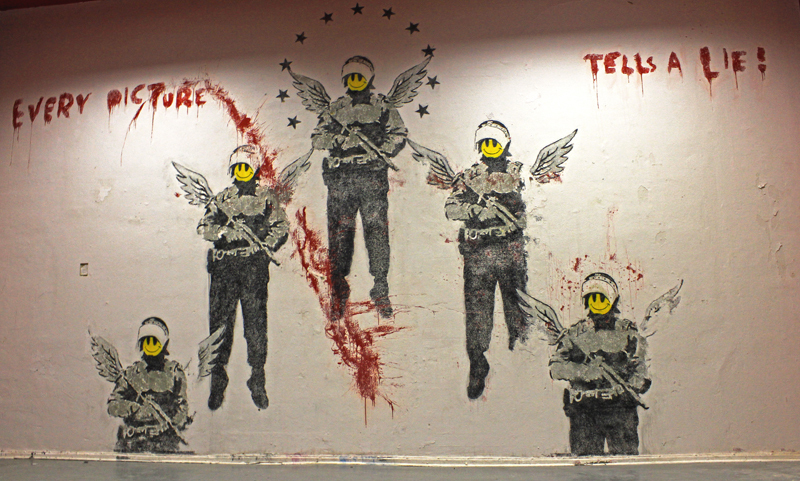 Ganz vorne am Eingang auf der rechten Seite. 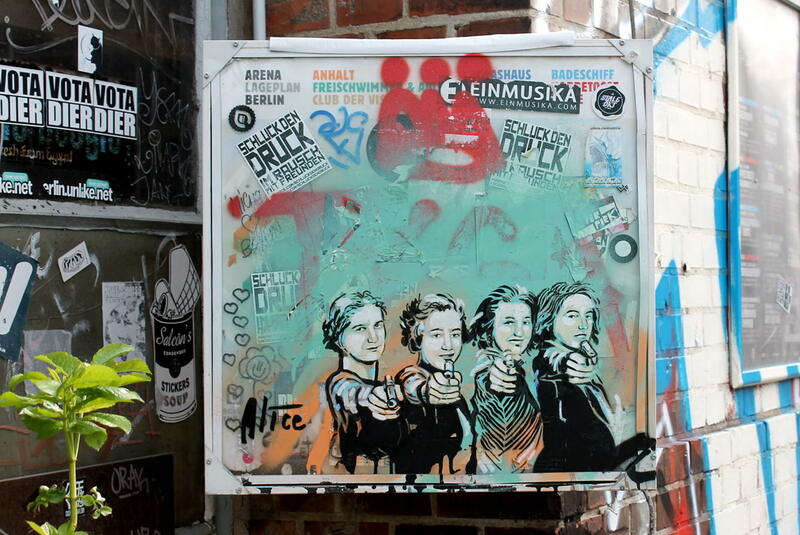 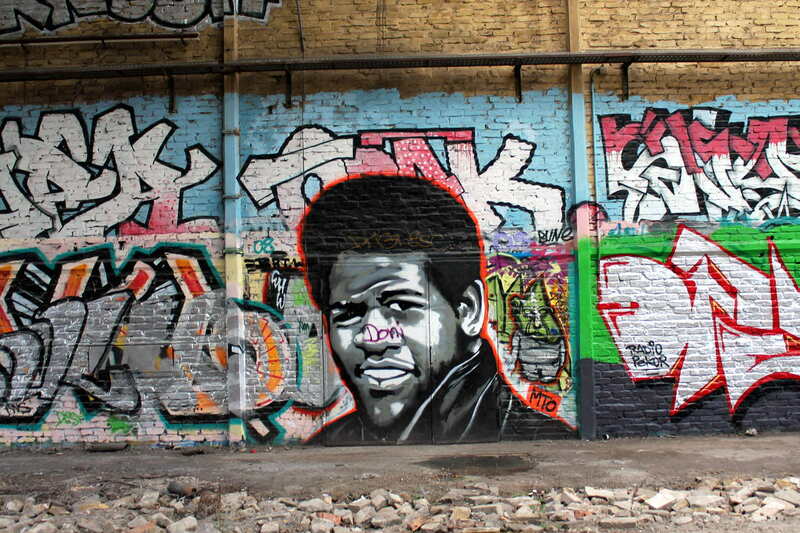 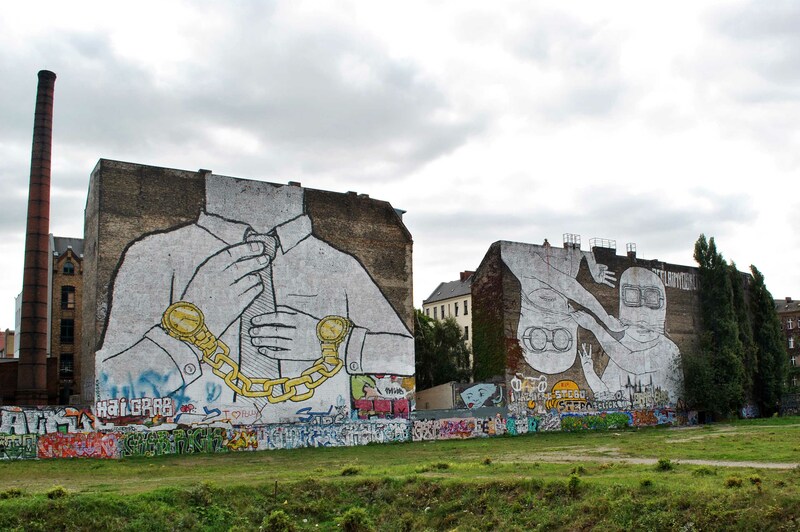 where in Berlin can we see it??? 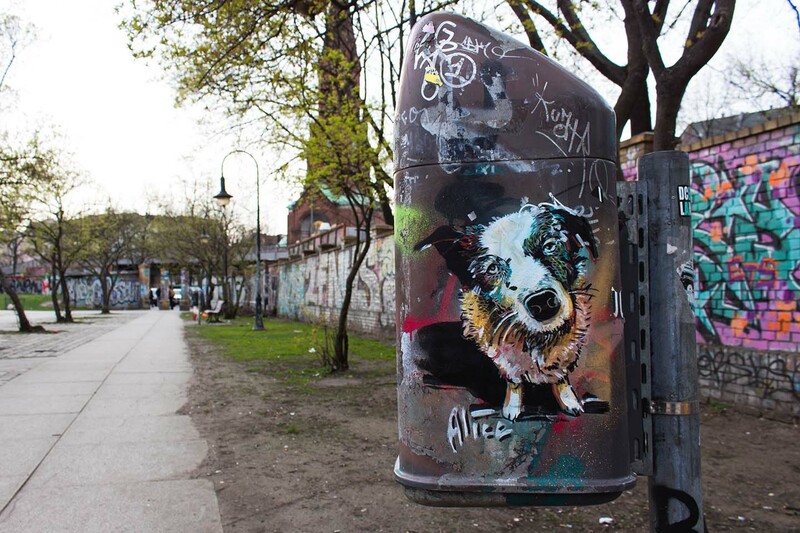 could we have street indication?